Locally funded and built Terse Secondary School in Talamarang wanted to add Grades 11 & 12–a critical addition because there was nowhere nearby to study at this level. 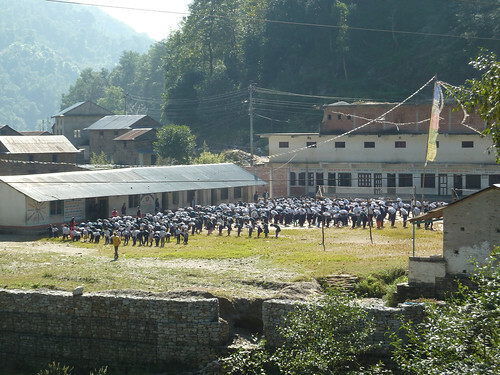 Students who wanted to continue their studies (after Nepali high school ends in Grade 10) needed to move away from home, which is expensive and difficult for families. We wanted to give students a chance to stay in the region where they can help their families with planting and harvest seasons while continuing their education. This school is a gem in the region, with good teaching, high exam scores for a rural school, and strong local support. Since they started teaching in English recently, enrollment has skyrocketed, and it’s an ideal place for us to support the expansion of 11 & 12 to prepare students for college study.